This 70" diameter unfinished French tablecloth panel can be finished either round or square. It is made from 100% cotton. 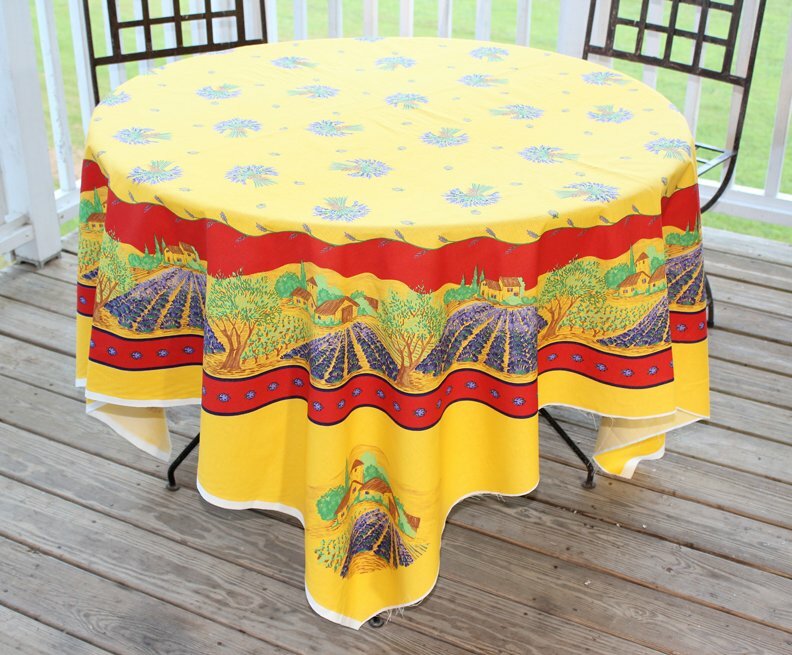 The tablecloth panel is printed with a circular pattern on a gold background, featuring designs straight from the lavender fields and small villages of Provence. Machine wash, line dry. By George G France.